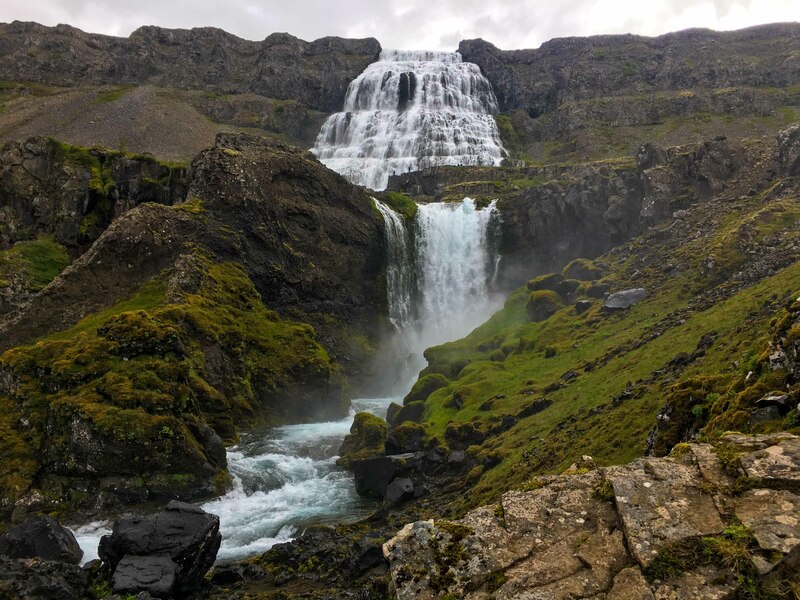 Dynjandi is actually a series of seven cascading waterfalls, found in Iceland’s more remote Westfjords. 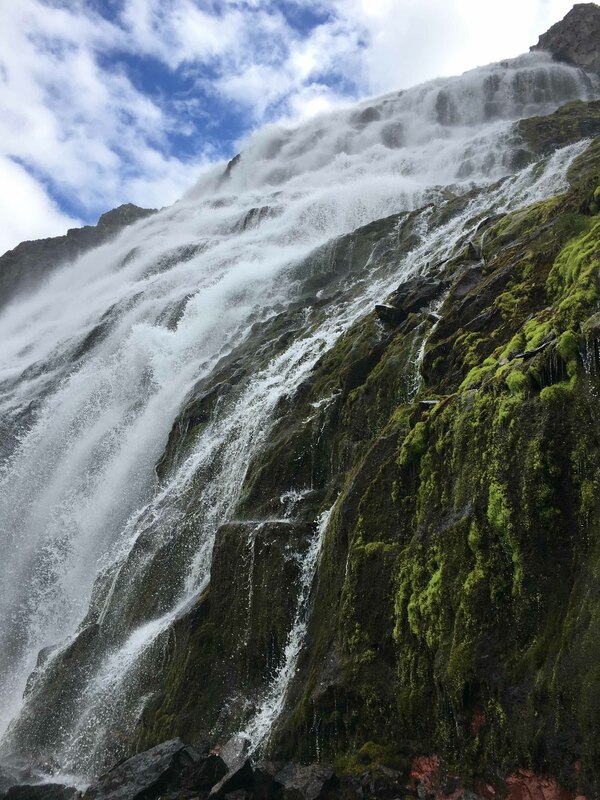 The tiny dots at the base of the top waterfall are people, to give an idea of scale! A short hiking trail leads to the base of the top fall, and the lowest one is very easily accessible from the nearby carpark. The falls formed after a glacier receded, leaving behind rocks of varying hardness – some more easily eroded than others. Over time, this led to stepped rocks behind the falls, which resulted in today’s cascades. I loved the contrasting colours here – the constant beating of water has exposed the surrounding bright red rock, and splotches of green and yellow lichen grow happily around it. If you’re here between May and July be sure to check out Latrabjarg’s puffin colony. I slept nearby, in the very appropriately named Fosshotel.